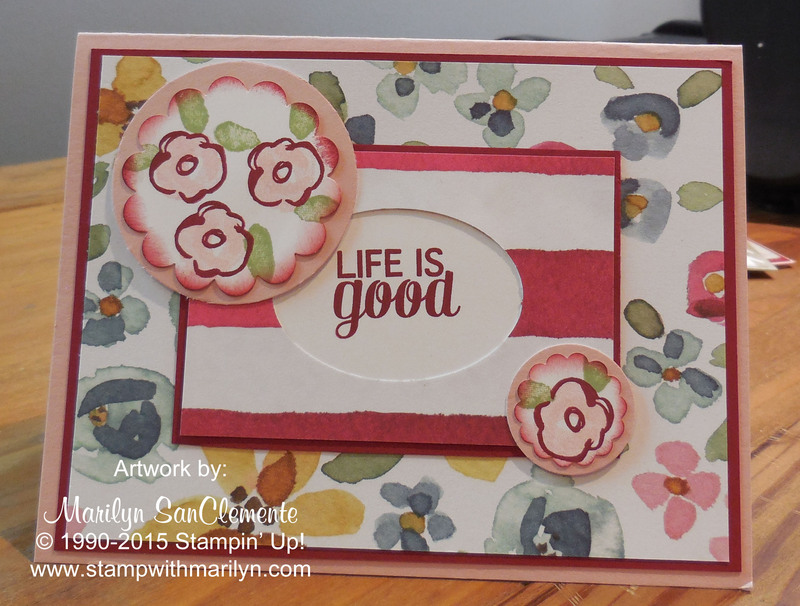 What could be bett er than Free Stampin’ Up! Stamp Sets? How about getting to pre-order new products and being the first to see them? 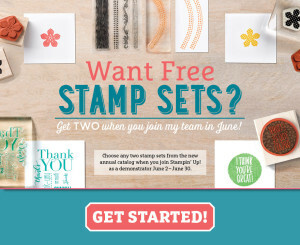 Have you ever thought about being a Stampin’ UP! Demonstrator? I would love to have you as part of my Stampin’ Up! team! Check it out HERE. And here is another card that I CASED from the new catalog. This card uses the new Garden in Bloom stamp set and English Garden DSP from the new Stampin’ Up! Catalog. This card is made with Blushing Bride Cardstock as the card base. Then a layer of Cherry Cobbler cardstock and a layer of the English Garden DSP. Last but not least is a layer of Cardstock Vellum over the DSP. Vellum is transluscent paper that is used a lot on wedding invitations. 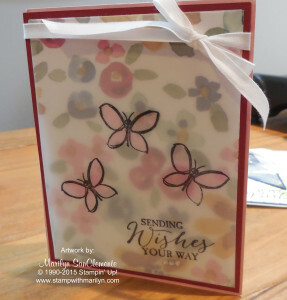 I stamped the Butterflies from the Garden in Bloom stamp set with black staz-on on the vellum.